As you research the plenteous benefits of Sea Buckthorn as both a dietary supplement and an herbal remedy, you should know that several products are derived from this versatile plant. Sea Buckthorn Berry Oil and Sea Buckthorn Seed Oil are two different extracts, with two unique sets of benefits for your body. In order to maximize the benefits you receive from this highly valued nutritional product, you should know as much as possible about its uses and varieties. Read on to learn the differences between Berry Oil and Seed Oil, the benefits of each, how the oil is extracted, and which Sea Buckthorn product is the right one for your needs. But Aren’t They The Same Thing? 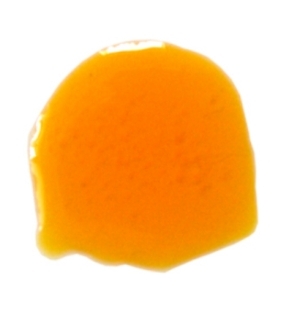 The seed oil and berry oil obtained from the Sea Buckthorn plant are two different products. Seed oil is extracted from the seed of the plant, which contains a vastly different nutritional makeup from the berry’s fruit oil, which comes from the meat of the Sea Buckthorn berry itself. These amazing berries are uniquely saturated with vitamins and amino acids, so much so that different components of the berry can be applied for specific maladies. The berry is traditionally known for its benefits to the skin, digestive tract, and urinary tract. However, as you will find out, the seed oil has phenomenal benefits as a dietary supplement for enhancing the immunity system and supporting cardiovascular, brain and liver health. What Are the Benefits of Sea Buckthorn Seed Oil? Sea Buckthorn seed oil is a true nutritional anomaly: in this oil, you will find a near 1:1 ratio of 34% linoleic acid (Omega-6) and 32% alpha linolenic acids (Omega-3). What are those? Linoleic acid helps your body maintain its cardiovascular system, and may function to reduce inflammation, high blood pressure, and cholesterol. Alpha linolenic acids help your body repair its cells, and provides the skin moisturizing qualities inherent in this oil. This oil is also naturally loaded with Vitamin E, carotenoids, and phospholipids that may aid your immune system and combat cancer-causing free radicals. 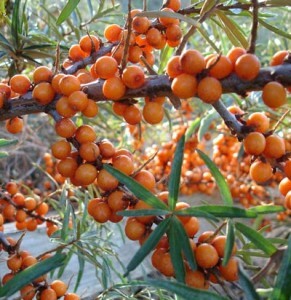 Learn more about sea buckthorn seed oil here. What Are the Benefits of Sea Buckthorn Berry Oil? 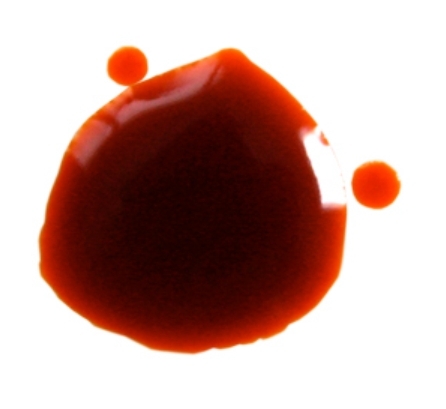 Sea Buckthorn berry oil is packed with carotene, which may improve eyesight and prevent certain forms of cancer. This berry oil has been used to treat skin conditions, such as burns, acne, rosasa, etc., providing a moisturizing quality that may result in overall healthier skin. For this reason, the extract has been used in some cosmetic skin products, especially for facial moisturizing. Learn more about sea buckthorn berry oil here. For both the berry and seed oil products, extraction is performed using only berries and extra virgin olive oil. This process preserves the traditional herbal and holistic extraction process that old world medicine used to maximize the benefits of Sea Buckthorn. Many other extraction processes exists, but are more technologically based, and less likely to retain the full benefits provided by this herbal remedy and dietary wonder. We feel that traditional extraction is necessary in order to provide the true, unadulterated benefits of this unique plant. Which of These Two Options Should I Choose? Whether you select Sea Buckthorn Seed Oil or Sea Buckthorn Berry Oil depends on your needs. As you have read, both products retain unique benefits. It is important, as you choose which product best meets your desired effect, to have as clear a picture as possible of what your body wants and needs from Sea Buckthorn. In general, seed oil and berry oil are both fantastic taken internally for overall wellness or applied topically for skin care. If you have to pick one or the other, the seed oil has the best internal benefits and the berry oil has the most topical benefits. Synergistic use is the best policy and a blend of berry and seed oil internally offers the most benefits followed by topical use of the berry oil for beauty and/or wound care.